Hey, hey, hey! Happy Fri-YAY! Summer is in full swing, and I thought it was high time to implement a fun series for the season. Welcome to the first edition of Fancy Friday! Every Friday this summer will bring you a roundup of my favorite finds from the week prior. They could be fun articles, thrifty deals, or simply things that made me say "Fancy that!" throughout the week. Enjoy! It's here, it's here! 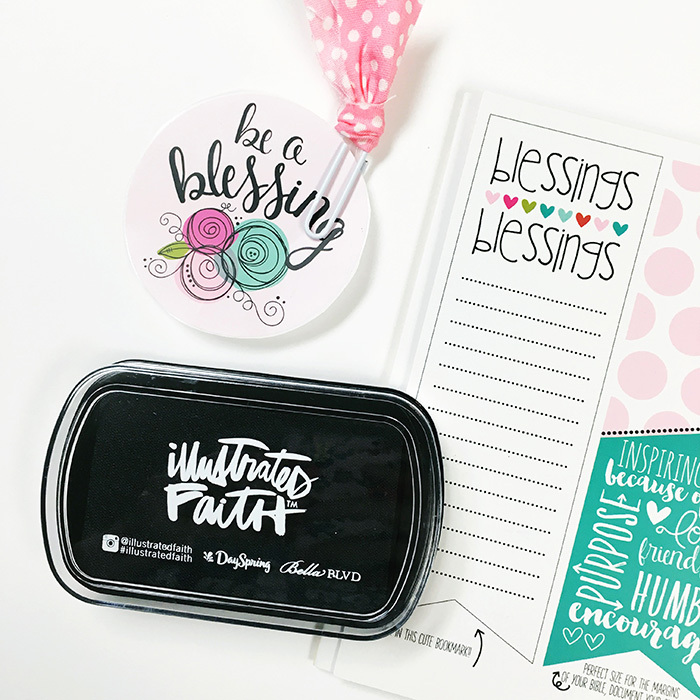 The newest monthly devotional kit by Illustrated Faith releases today! This month's devotional "How He Loves" was written and designed by Junelle Jacobsen, and I'm already swooning over the color scheme and the message. It makes me think of the David Crowder song we'd sing at church by the same name; the lyrics would get stuck in my head all the time. I love what Junelle says: "There are times in our lives when we need this sweet reminder of who we are (in Jesus) and how much passion God has in His heart for each of us. Do you know how loved you are? Do you need a reminder of that love?" I know I do! Grab your devotional HERE today before the disappear! Did you notice the new look? One of these days I'll pick a layout and stick with it for more than six months... maybe it will be this time. I fell in love with the set up a while ago and have been waiting for just the right time to implement it. After six years on blogger, I've finally mastered the template transfer, and I finagled with it late into the night. I've also added a new headshot, taken by the lovely Emma of Rose Wheat Photography. More are soon to come. Emma and I explored downtown Topeka earlier this week when I was visiting Rachel. She was so fun to work with and had me laughing and grinning the entire time. I'm usually very self conscious when I get my picture taken, but I felt beautiful and relaxed during it all. I can't wait to show you the rest! Have you seen Beth's Hymnal Girls? I picked one up at the start of the new year, stamped with BELIEVE, my word for 2016, on the pretty gal's floral shirt, and I now have a plan to purchase one at the start of each year to come (for as long as she makes them, of course)! I had the JOY of spending a few days in Texas hill country with Beth earlier this month, and she is such a gem. I'm also excited to give you a hint about what is to come oh-so-soon. 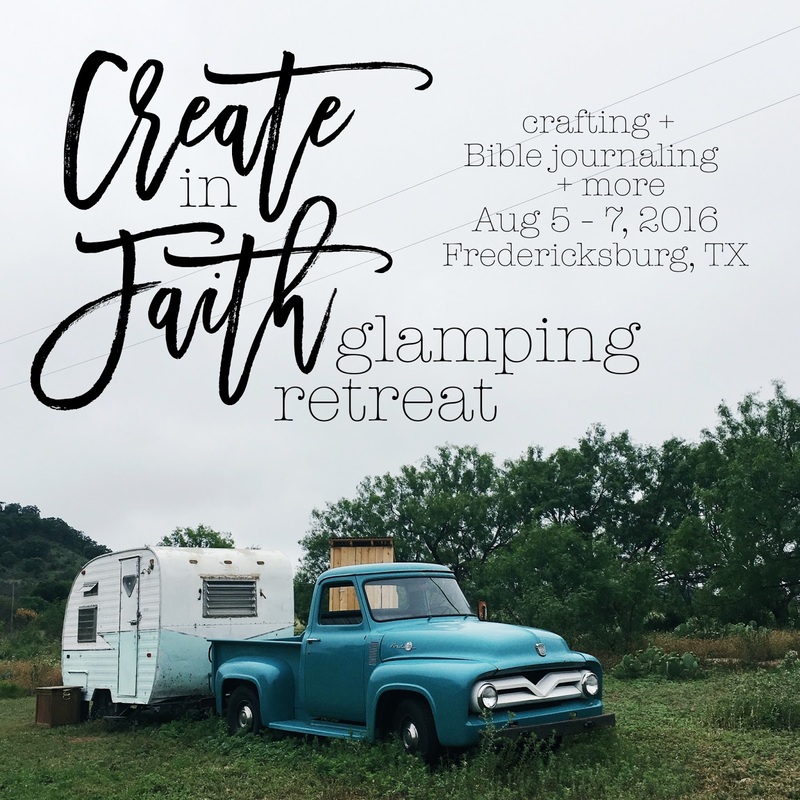 You TOO can get a chance to spend a few days relaxing in the gorgeous hill country, glamping with friends and getting crafty with your faith. Mark your calendars for August 5-7 and start saving your pennies. You are NOT going to want to miss this! ;) Follow @lovebaileyjean and @freespiritfarmhouse to get the details as soon as they are released! I re-discovered the 73 Questions video series yesterday, and it made me fall all the more in love with some of my favorite celebrities. Blake Lively is adorable, Anna Wintour is fabulous, and Amy Adams (video above) is simply stunning. I want to be their best friends. Rachel and Kristin both did their own versions of the 73 questions in blog post form, so don't be surprised if you find a similar version here soon. I'm thinking it could be fun to do it right before my twenty-fifth birthday next month (NEXT MONTH?!). Stay tuned. There you go for the first Fancy Friday! What about you? What made you smile this week? As a member of the Illustrated Faith Creative Team, I have the JOY of playing with many gorgeous and whimsical items put out by the company as I journal in my Bible. 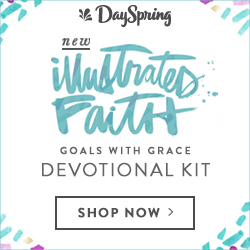 But my favorite tool for digging into the Word creatively are the monthly devotional kits by the Illustrated Faith/Bella Blvd/Dayspring dream team. 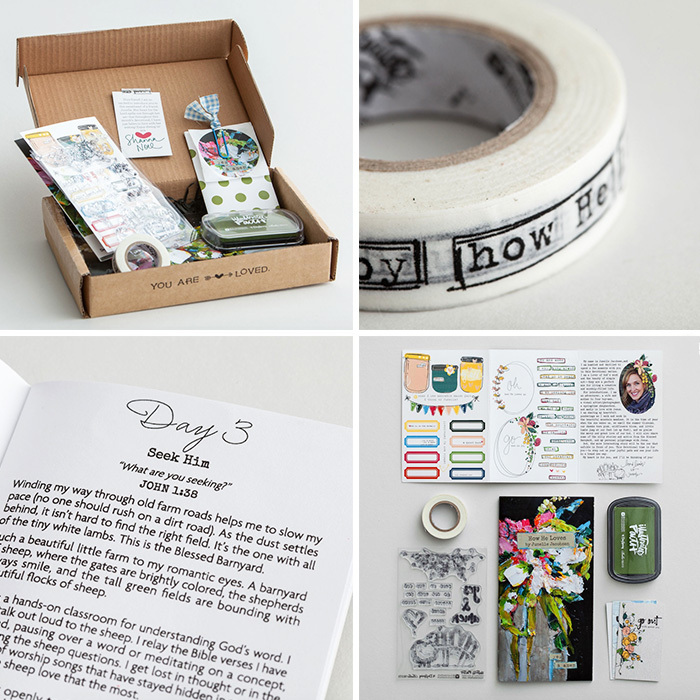 Each kit comes with a devotional, washi tape roll, stamp set, ink pad, and matching scripture cards. 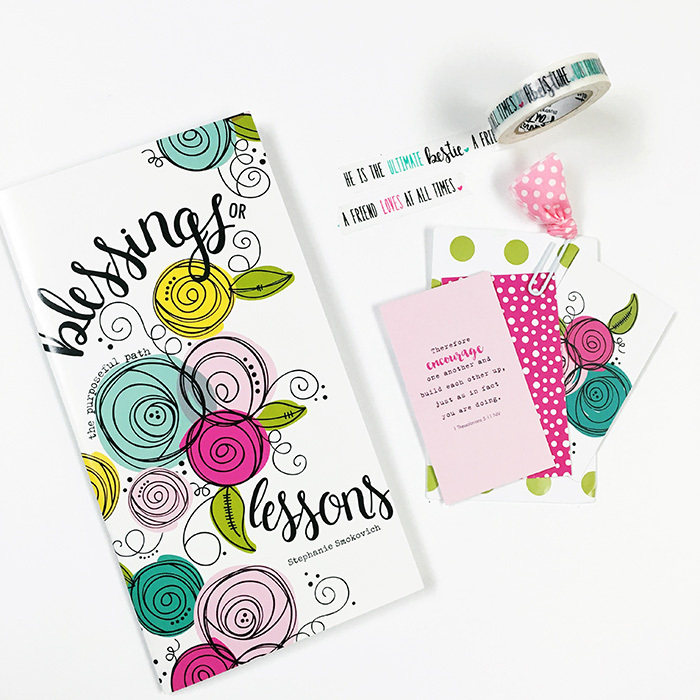 This month's kit was called Blessings or Lessons, written by Stephanie Smokovitch. The florals caught my eye and took my breath away from the moment I opened the package. A sweet note from Shanna, the founder of the Illustrated Faith community and company, introduced us to the kit and the author, and it was quickly tucked, along with the other scripture cards, into the pocket at the front of my Bible. The "Blessings or Lessons" devotional looks at the people that walk in and out of our lives; some of them are blessings and others... not so much. Stephanie encourages us to look at them as lessons. There is something we can learn from everyone who crosses our paths or catches our eye. Her fourteen day devotional gives prompts for reflection as well as dives into some of my favorite scriptures. I have to admit, I also got all swoony for the mason jar stamp included in the kit. I get the feeling that the little repetitive hearts are also going to be a favorite in pages to come. For those of you who may be wondering, the stamps included in the Illustrated Faith kits are made to be used with an acrylic stamping block. Simply peel the stamp from the sheet, press it onto the acrylic block, stamp away, then return the stamp to its place. The stamp sets are 4x6 (and fit easily into 4x6 photo pages for storage). The stamp backer (the trifold card stock) that comes in the kit is like a bonus! 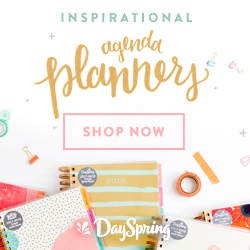 This go-around it included a short introduction from Stephanie about her devotional, but it also includes tabs, bookmarks, and other images that can be cut out and used in your journaling! These kits come jam packed with goodies, like this classic black ink pad, and they are a great way to dive in if Bible journaling is new for you. The washi tape roll has to phrases printed in a fun font, and it's serving double duty for me by going on all of my snail mail lately. The tape says "a friend loves at all times" and "He is the ultimate bestie" with cute little hearts in-between. There's also a super cute paperclip with pink polkadot fabric. I usually use the clip to hold my place in the devotional until I'm through with it, then I work it into one of my illustrated Bible pages that go with the kit. Oh man. Day one got me good. And I love that I'm sharing the Blessings or Lessons kit about friendships with all of YOU, my online friends. What a world we live in where connections can happen via the internet! But there is something to be said about getting face to face and digging into local community. This week I encourage you to, one, order the kit ;), and two, make it a point to connect with your blessings and give grace to your lessons. I'm excited to combine my Illustrated Faith journey with some in-person connections this summer! Today I'm visiting a dear friend I met through blogging, Rachel, and we're definitely going to get messy in the pages of our Bible this week. Also, stay tuned for more details about exciting events that YOU can be part of in days to come! Have you jumped into the Blessings or Lessons kit yet? If so, what do you think?! *Please note, this post contains affiliate links. They won't cost you a penny more, but shopping these links will help me savor the summer with a Sonic happy hour treat or two. Enjoy! *I received The Longing in Me from BookLook Bloggers in exchange for an honest review. All thoughts/opinions on the book below are my own. The life of David is endlessly fascinating. We know him as "a man after God's own heart" and as the one who defeated Goliath with a sling and a stone. What a guy, right?! But his story is so much more than that, and God's fingerprints are ALL OVER it. Did you know he was (most likely) a teenager when Samuel anointed him as the future king? Did you know he was 30 when he finally took the throne? Talk about a major waiting season in the in-between, and some crazy ups and downs to boot. That is what resonates with me lately. He knew what was ahead, the end goal, but he had years of journeying with and trusting the Lord before he got there. Once he became king, his troubles weren't over and he wasn't perfect. Far from it in fact. Oh, those are some of my favorite words in the Bible! But God still chose David. 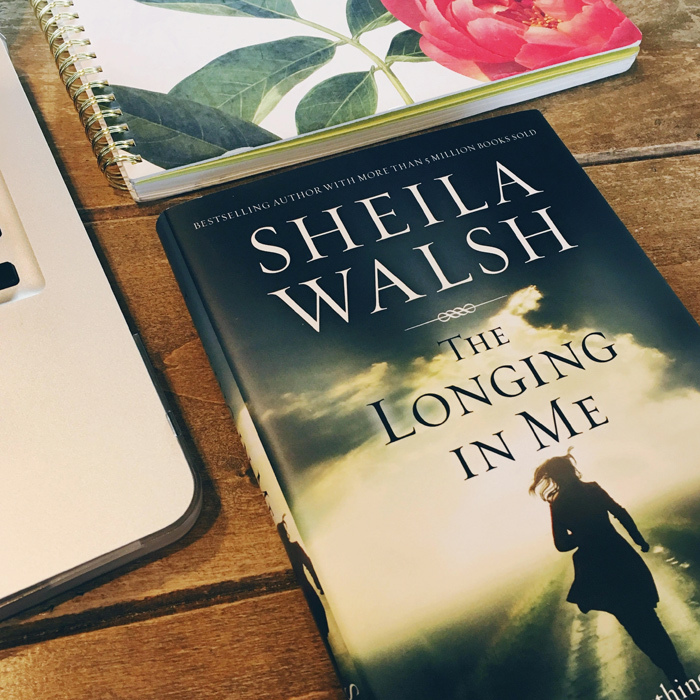 In The Longing in Me, author Sheila Walsh examines the life and Psalms of David and shares the story of her first marriage along the way. She uses both as examples of how we have a hunger deep inside us, a longing that can impact our choices and in turn our futures, and that this hunger is ultimately for God. The longing will "haunt you until that hunger gets satisfied properly". Whether it's a longing for acceptance, a relationship, fulfillment, or the next best thing, everything can lead us back to the heart of God. They don't always, particularly when we choose instant gratification and the world's definition of satiation to fill those desires, but if we turn our eyes to the Lord and press into His will and His word, the longing can be the path to greater intimacy with him. "You can tap the one fountain that will quench your deepest thirst. You can change the way you respond to life's stresses. You can heal from the past and find joy today. I go back to David's Psalms over and over and over again. They're the pages most painted in my journaling Bible and most repeated in my diaries and prayers. Psalm 23 was one of the first I memorized in elementary school, and Psalm 63 holds a special place in my heart from college. I used to think them simply pretty songs about a far away time, but what blows my mind is how RAW they are. David was upfront with God about how he was feelings, the deep, hurting places, honest about his desperation and loneliness. I will thank you Lord, among all the people. *This post contains affiliate links. They won't cost you a cent more, but shopping these links helps me celebrate summer with a Sonic happy hour every now and again. Thanks and enjoy! Oh, June. You beautiful thing you. June feels like summer. May had just enough school left in it to linger in the academic year, but now vacation can swing into full force! Well... sort of. May was packed to the brim, and my goals were swept to the wayside more than one. However, I knew that might be the case going in, so I lugged a suitcase full of grace with me wherever I went ;) May held many reasons for celebration --finishing grad school, my sister's undergrad graduation and engagement to name a few-- as well as plenty of time in the car trekking across Oklahoma and Texas to see friends and family. Exciting things are in the works for the summer, and I cannot wait to tell you about them! 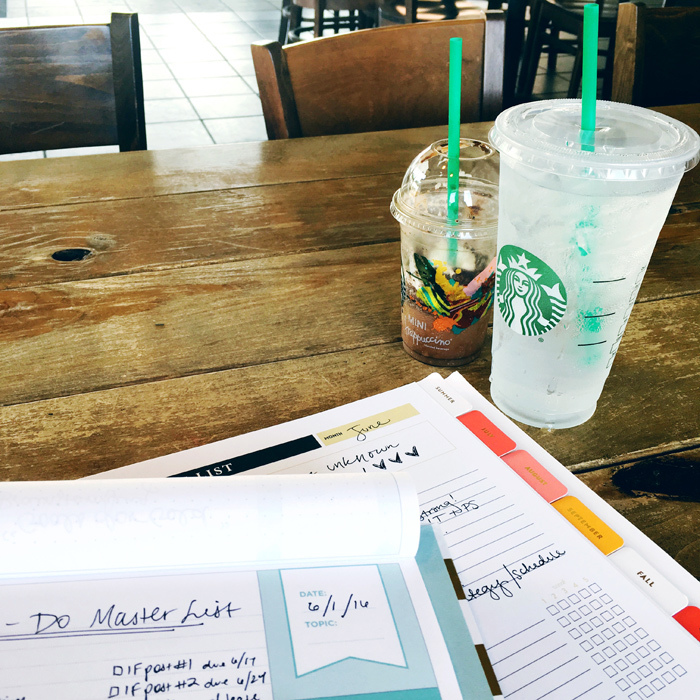 But first let's take a look at May's goals before diving into June's to-do's. 1. Graduate from grad school! Done, done, and DONE! I have a Masters! 2. Keep with ketogenitic plan. I did this pretty well for about half the month. Travels and moving sort of threw this off, but I still count it as a half-success. 3. Participate in The 100 Day Project. YES! I am on day 42 of 100 Illustrated Days! Occasionally a page will be posted a day late, but I'm so proud of myself for sticking with it so well thus far. Check them out HERE! 4. The Contentment Challenge + Study. Okay, gotta be honest. May was rough. The Contentment Challenge has definitely put a spotlight on my bad habits. May gets covered in grace though, and June looks more promising. 5. Meet my savings goals. I've started working towards them, for sure! I picked up a retail job --not at Anthro, once closer to home-- so this will carry over. 6. Read 5+ books. You betcha I did this one! I started by re-reading The Selection Series since The Crown came out at the begining of the month. Therefore in May I read: The Selection, The Elite, The One, Happily Ever After, The Heir, The Crown, A Severe Mercy, I'm Glad About You (don't recommend), The Longing in Me, and Princess Ever After (listened on Audible). I started Girl Meets Change, The Fringe Hours, Passenger, and I Don't Wait Anymore. 10 books completed this month which means I completed this goal twice over! 7. Complete online certification. I made progress! It's not finished, but It's getting close! 8. Collaborate with intention (and enthusiasm!) online. Oh, this has been so fun! You can find my Illustrated Faith posts HERE and HERE, an article I've written on singleness will be published later this summer, and I've got a fun retreat in the works for you Bible journalers out there! Details soon to come. 9. Find a job. Well, I picked up a retail job, but I still haven't secured a job for the fall. I'm trying to choose to trust instead of stress, and I'm hoping now that high school schedules are coming to a close for the year that I'll begin to hear back from some high schools. Progress not perfection, y'all. PROGRESS not perfection. I knew that moving and finishing school could throw a monkey wrench in my best laid plans, so here's to a new month doused in a whole lot of grace. 1. Summer goal refresh! This will come towards the end of the month. I LOVE that the PowerSheets have seasonal refresh pages to spruce up your goals for what the next season will hold. I did that at the end of March, and this summer brings a fresh set for July, August, and September. ALSO! BIG NEWS! Did you know that the PowerSheets are on SALE?! This never happens! Snag your own HERE for 40% off with the code SUMMERGOALS! Holy cow, this is a good deal, y'all. I swear by these things! 2. Visit Rachel! This has been on the calendar for weeks and I'm SO EXCITED! If you don't know Rachel Nordgren, you should. Im talking push pause on this post and go soak up her wisdom. I know it's done me a world of good to have her in my corner over the past year or two! This trip will be a great getaway from the day to day here, and plenty of time to listen to my latest Audible book on the long drive. 3. Help my sister wedding plan! Maid of honor duties are in full swing! My little sister got engaged last month, and earlier this week they found a venue and picked a date! I've been named the in-house wedding planner, so I'm putting my Pinterest board to work and my experience interning with a wedding planner in Austin so we can get this party started. We're meeting up this weekend to go over the next round of details and to iron out a schedule for the next six months. The big day will be here before they know it! 4. Finish The Contentment Challenge + Study. The Contentment Challenge has certainly had its ups and downs. April was strong, May was a struggle, and hopefully June will be better! It's the last month, though certain pieces of it will carry over into the months to come. This month I'm steering clear of eating out alone, not stepping foot into my fave stores (did this well in April but ignored it in May... oops) and no more Amazon ordering! I need a kick in the pants about this, y'all. Wish me luck. 5. 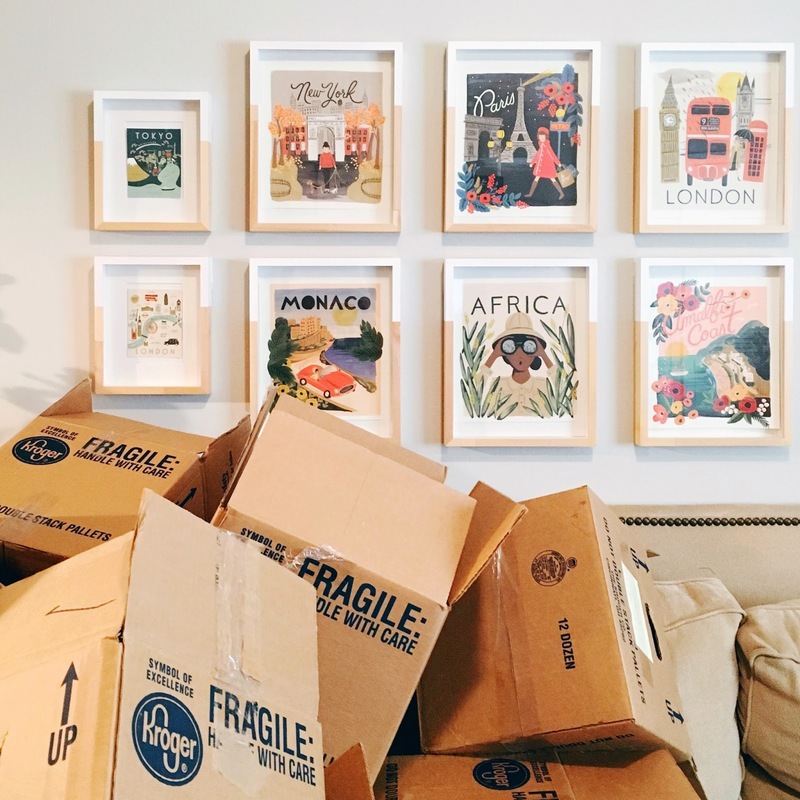 Pack the apartment to move. I may not know where I'm going yet, but I've scheduled in some time this month to get my apartment into boxes so that when we bring the moving truck in July everything is ready to go. It's a little overwhelming to think about, but Mom and I will be able to knock it out in a couple of days. I think. 6. Read 5+ books. The reading list is going strong! I've read 42 books so far this year, so it appears my 52 Books in 52 Weeks goal will be met by the end of the month! My reading list this month: Flawed, Notes from a Blue Bike, Eligible, I Don't Wait Anymore, The Shadow Queen, I Was Blind (Dating) But Now I See, A Court of Thorns and Roses, A Court of Mist and Fury, and Cress. I'm also revamping the Brave Love Book Club, so stay tuned. 7. Complete online certification. JUST GOTTA GET THIS DONE. 8. Creative team duties and collaborations! I have guest posts to write for several sites and other duties for my creative teams/brand rep positions to take care of this month. I need to put them into my Day Designer today! 9. Prioritize heart healthy habits. I'm jumping back onto the ketogenic way of eating, and I can already tell a difference! Sugar and carbs make me feel so sluggish (and sometimes physically ill) so cutting those out has been a big deal. I am in two weddings this fall, so I have good motivation to kick physical fitness into gear with dress shopping on the horizon. But most of all, I want to break the bad habits and honor the Lord with how I treat my body (and my finances!) in this area. I haven't found a plan that works yet, so I'm trying something a little different this month. 10. Get new headshots/revamp BLB! It's been a long time coming but I'm getting new headshots this month as well as giving Brave Love a little make over (maybe). One of these days I'll find a layout that I like to keep around longer than six months. Grad school took some of the joy out of blogging, and I put most of my time and effort into Instagram, but I miss blogging. So hopefully you'll see more life around these parts. What do you want to make happen this June?